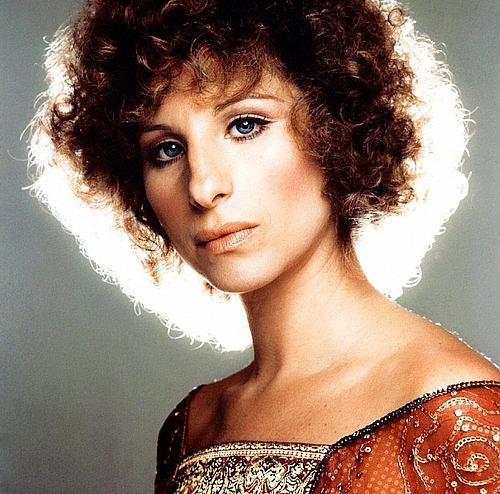 Barbra Streisand (born Barbara Joan Streisand; April 24, 1942 in Brooklyn, NY) is an Academy Award-winning American singer, theater and film actress, composer, and film producer and director. She has won Oscars for Best Actress and Best Original Song as well as multiple Emmy Awards, Grammy Awards, Golden Globe Awards and an honorary Tony Award. She received the prestigious Kennedy Center Honor on December 7, 2008. She is the most successful female recording artist according to the Recording Industry Assoc. of America (RIAA). Barbra Streisand has recorded more than 60 albums, almost all with Columbia Records. Her early works in the 1960s (her debut The Barbra Streisand Album which won two Grammy Awards in 1963, followed by The Second Barbra Streisand Album, The Third Album, My Name Is Barbra, etc.) are considered classic renditions of theater and nightclub standards, including her version of Happy Days Are Here Again. Beginning with My Name Is Barbra, her albums were often medley-filled keepsakes of her television specials. Starting in 1969, Streisand tackled contemporary songwriters; like many talented singers of the day, she found herself a fish out of water in attempts to tackle rock, but her vocal talents prevailed and she gained newfound success with the pop and ballad-oriented Richard Perry-produced album Stoney End in 1971. The title track, written by Laura Nyro, was a big hit for Streisand. Streisand's 1980 album, Guilty featured the songwriting, production and vocal talents of Barry Gibb and was the best-selling album of her recording career. During the 1970s, she was also highly prominent in the pop charts, with number-one records like The Way We Were, Evergreen, No More Tears (Enough Is Enough) (her duet with Donna Summer), and Woman In Love; some of these came from soundtracks of her films. She recently took part in supporting Haiti in singing "We are the World 25th anniversary. When the 1970s ended, Streisand was named the most successful female singer in the U.S. - only Elvis Presley and The Beatles having sold more albums. In 1982, New York Times music critic Stephen Holden wrote that Streisand was "the most influential mainstream American pop singer since Frank Sinatra." Subscribe to Barbra Streisand RSS Feed to get latest lyrics and news updates. What do you think about Barbra Streisand? Let us know in the comments below!